Wondering what Microsoft 365 really is? You will leave this session understanding the different SKU’s and how Microsoft 365 Business has been tuned to fit the new GDPR requirements. You will learn how to sell it internally in your organization, pitch it to customers or understand the technical requirements as a consultant. 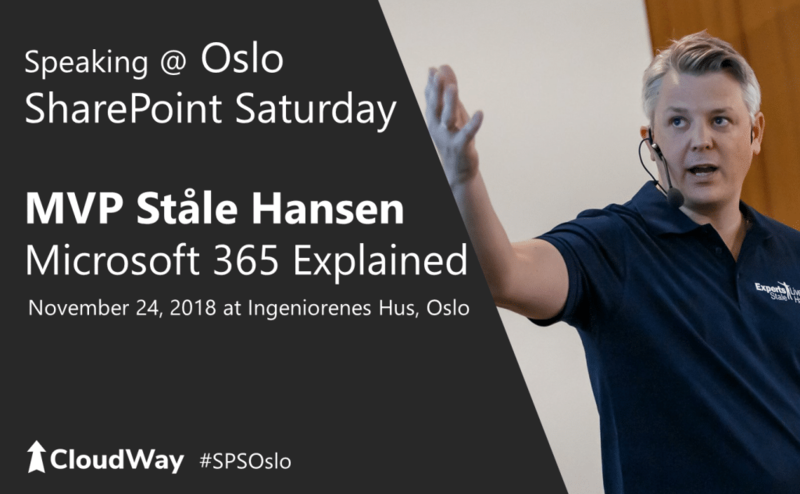 MVP Ståle Hansen will share from his experience as Office 365 sales coach and as an architect with deep knowledge on how the components fit together. This session is a great place to get started with Microsoft 365.